To reduce the misophonic response, avoid silence. To do this, you can add background noise to your life. Audiologist Martha Johnson developed this method of treating misophonia a number of years ago that does just this. She calls it the Misophonia Management Protocol (MMP). This is probably the most common management technique for misophonia. In addition to adding background sound, this protocol also recommends six to twelve weeks of therapy (cognitive behavioral therapy, dialectical behavior therapy, or whatever you like) to help you change the negative thoughts about the trigger sounds and develop coping techniques. 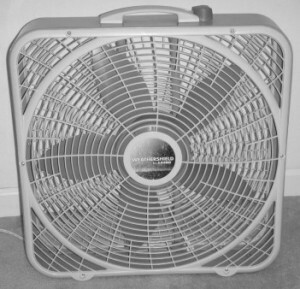 To add noise to your room, you can use something like a box fan running in the room. A box fan is a great noise generator. It is the cheapest and noisiest fan you can buy, costing less than twenty dollars in the USA. You can also use a white noise device such as the DOHM or LectroFan. Each is about the size of a stack of CDs. The DOHM is actually a fan in a box. It has two speeds and adjustments for volume and pitch. 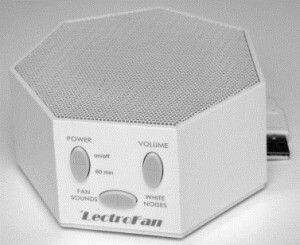 The LectroFan is an electronic noise generator, and it has ten fan sounds, ten other noises, and a volume control. 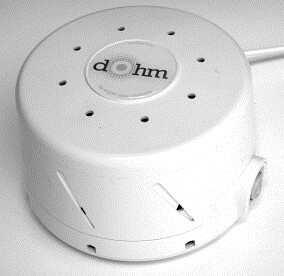 The LectroFan currently has a higher rating on Amazon.com, and uses less power, but DOHM is very popular with people with misophonia. I don’t have a recommendation of one over the other. You might want to have several of these devices so that you can keep them where you need them, such as in your kitchen, in your living room, and in your bedroom. You want to have sound everywhere you might hear triggers. You can also use the TV or music for background sound, but it is not as beneficial as the fan or noise. Music or TV sound varies in volume and the sound is not as effective at blocking or muting the trigger. If you have a sound system, then you can use a white noise app through a smartphone that is connected to your sound system, or you can use recorded white noise, pink noise, or rain sound. What you use depends on what you like and what is the most helpful for you. They are small and discreet. They are even invisible for a teenager wearing their hair forward. Even for guys with short hair, they are barely noticeable. These devices are also called masking devices. 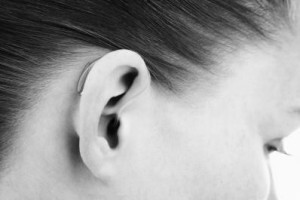 You should ask about these before going to see an audiologist because many audiologists and hearing aid centers do not sell them. 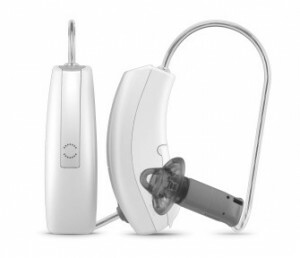 These devices are commonly used to treat tinnitus, so any audiologist who provides treatment for tinnitus should be familiar with sound generators or masking devices. Widex Sound Generator, almost invisible. When wearing a sound generator, you will still be triggered, but the trigger may be greatly reduced so it doesn’t overpower you. You may be able to handle it without getting upset. Dr. Johnson’s data on her patients showed that adding nondescript sound reduced the severity of a person’s misophonia. It generally made their life livable. So getting some sound into your home, getting noise into your rooms, and adding noise directly to your ears is a very positive misophonia treatment for many people. About 60% of the people that went in to see Dr. Johnson ended up using (and liking) the little behind-the-ear sound generators. You can try this management technique for less than twenty dollars – just use your iPod to play white noise with open ear headphones. Dr. Johnson reported that the Misophonia Management Protocol (MMP) had an average effect of reducing the severity of a person’s misophonia from severe to moderate or moderate to mild. [ii] Based on the sum score of the Misophonia Assessment Questionnaire (MAQ), she classified patients as having severe, moderate, or mild misophonia. The MAQ has twenty-one questions on a scale of zero to three. The maximum score is sixty-three. Twenty-two to forty-two was moderate. Above forty-two was severe, while below twenty-two was mild. It’s not a cure, but the MMP makes life much better and is really a very good thing. It’s also important to note many people have an immediate benefit from the added sound or noise, which is helpful for a person suffering from misophonia. A critical aspect of this treatment is to have your ear exposed so you can still hear, and thus you need to understand that you are still going to get triggered. The severity of your trigger response should be reduced, so you’ll feel a lower level response. You can increase the volume of your background noise – of your iPod or of your sound generator – when you need to, such as when it’s a higher trigger situation or you are just more sensitive. You can decrease the volume of the noise when it’s not needed.